For each object, we will make one with a shadow, and another that is semi-transparent. Radial, and Reflected Gradients to fill those areas in. With different Gradients on multiple layers, and different Opacity settings, we can achieve the illusion of depth. 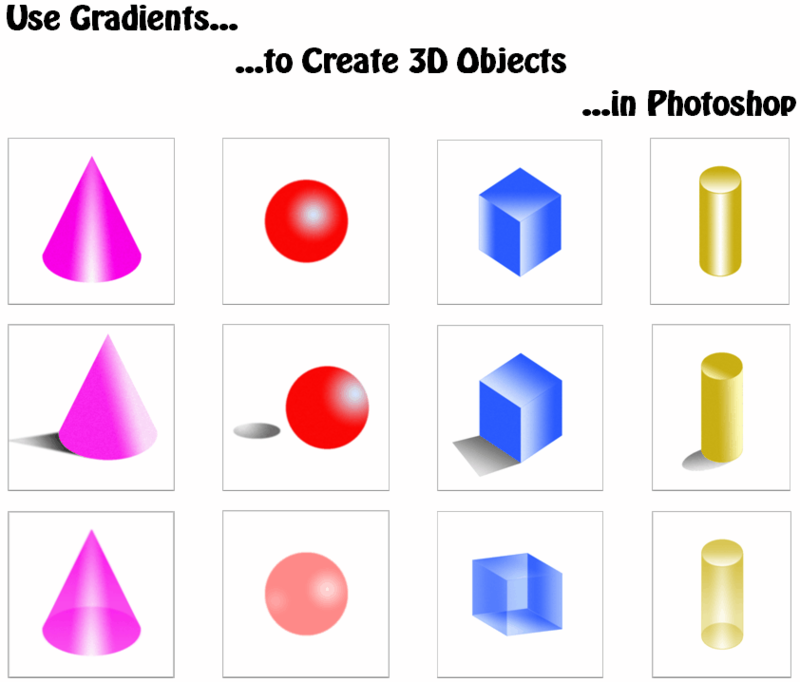 Working with gradients is so easy in Photoshop, you don’t need to be an artist to create realistic primitives. Check out the tutorials below or watch the video.